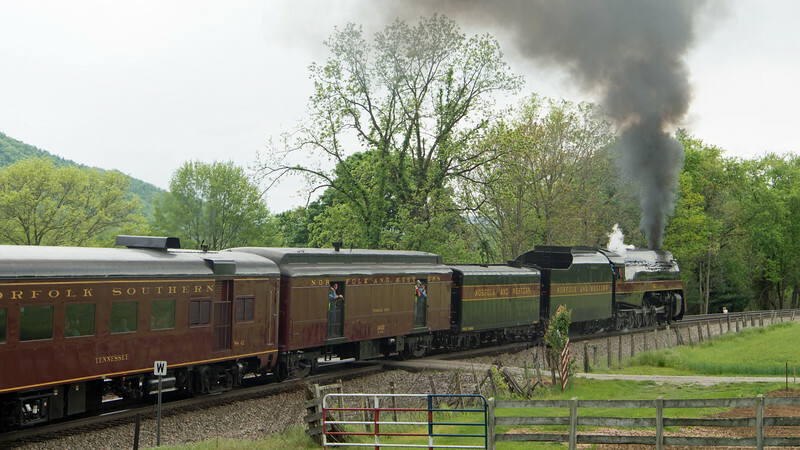 Norfolk & Western 611 marches upgrade through Shawsville, VA bound for Christiansburg with an excursion. The first few cars are painted classic N&W red, enabling at least a glimpse of the old days before the hodgepodge of additional cars of varying paint schemes that made up the rest of the train. Those lucky folks in the baggage/tool/support car are sure getting an earful as the 611's rifle-shot crisp exhaust indicates that she has matters well in hand.